By Ashutosh KS in Desktop. Updated on February 14, 2017 . One of the most popular web browsers users love is Google Chrome, yet in spite of all the feature updates and bug-fixes, Chrome can be slow at times because of some of its features, extensions or applications. The good news is that there are various tips and tricks, and hacks that help to improve the overall speed and sensitivity of this browser, which subsequently can improve its page loading and web browsing speeds. In this post we will be looking at 11 ways to help speed up your Chrome. These tips and tricks disable various unnecessary and unneeded features of Chrome to allow the browser to load web pages faster. These include extensions, plugins and web apps you don’t need. 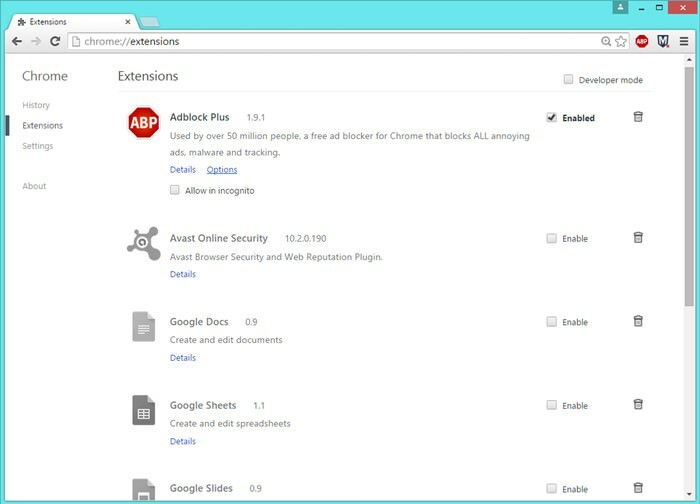 Extensions are tools that extend the functionality of the Chrome browser, which are helpful yet some may actually be less helpful than you think. Extensions mostly run in the background, and parse or filter web pages before they’re displayed on the screen, but will also load their own pack of data from the Internet. To get better browsing speeds and good response times, disable and/or delete extensions you don’t actually need. Type “chrome://extensions” in your Chrome’s location bar. 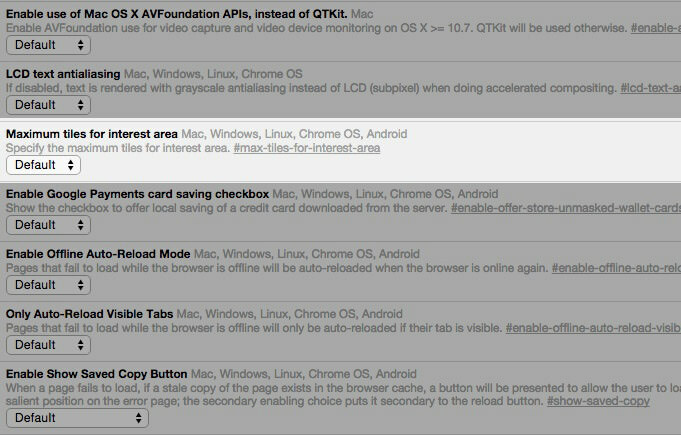 Alternatively, you can go to Chrome’s Options > More tools > Extensions. Untick the Enabled to the extensions you want to disable, or click the Trash icon to delete the extension. Plugins are much like extensions. They provide extended functionalities to the browser. 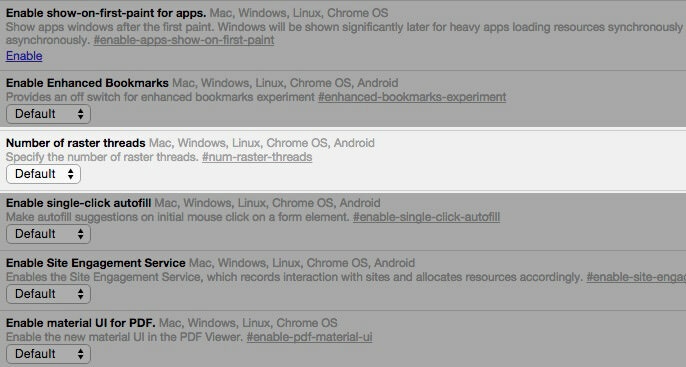 Chrome comes with few built-in plugins provided by Google (like Chrome PDF Viewer, Native Client, etc. ), and may carry plugins by other software installed in your computer. Plugins, like extensions, can slow down the browser and clog memory and network resources. Click Disable to disable the plugin you no longer need. Google Chrome comes with many intelligent features such as network prediction, spelling correction, resource preloader, etc. Resource pre-fetcher or preloader provides intelligent suggestions about the pages or links the user is most likely to open next, loading those pages/links in the background before you actually open them. Check the “Prefetch resources to load pages more quickly” option. 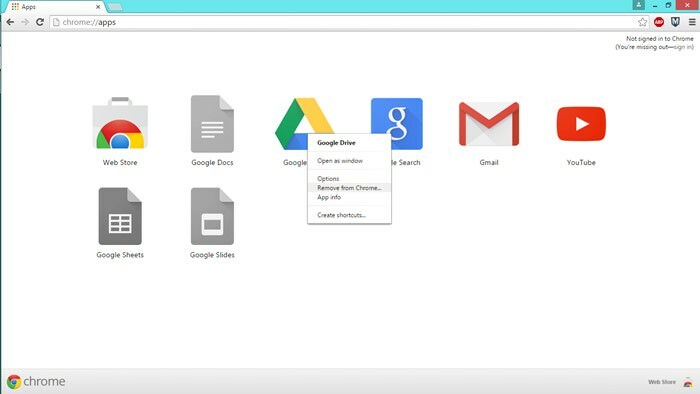 Google Chrome packs many secret and experimental features under its hood. 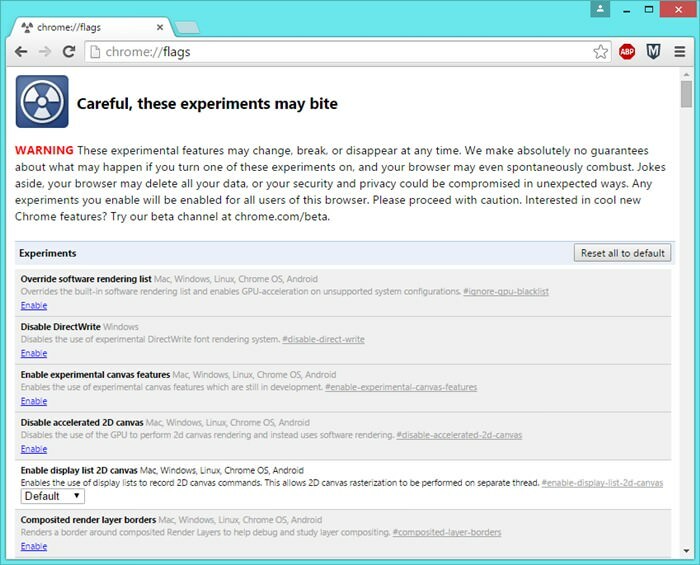 These are experiments by the Chrome’s developer team – some may not be built for novice users, some may not work for some devices, and some may not be good for your computer too. But lucky for us there are some experiments that are useful enough to boost the browser’s page-loading and rendering engines. Again, some of them may not work for some devices, and if you find yourself in a situation like this, just undo the hack to go back to normal. 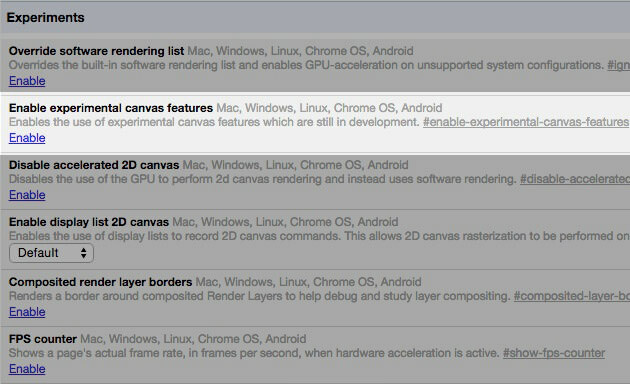 Experimental Canvas Features allow the Chrome to make use of opaque canvases to amplify the loading times and boost performance. 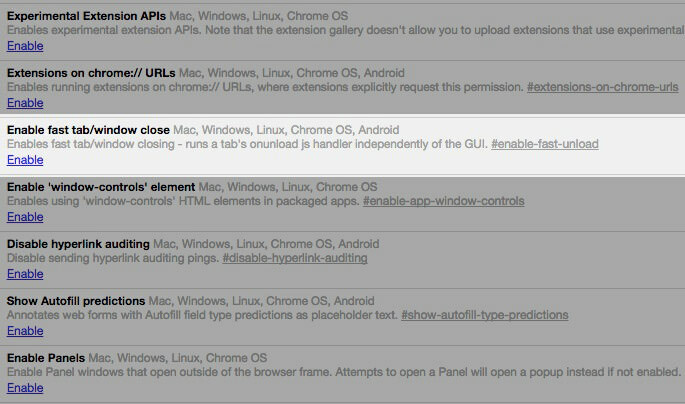 The Fast Tab/Window Close option increases the response time of the browser when a user tries to close tabs or windows. Enabling this feature runs a tab’s onUnload.js handler independently of the graphical interface and speeds up the closing process. 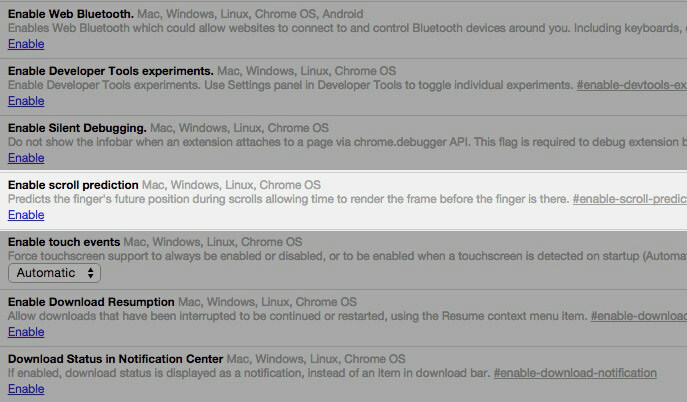 Scroll Prediction feature tells the Chrome browser to predict the finger’s future position during scrolls allowing the engine to render the frame before the page is scrolled again. Click on Enable and then Relaunch Now. Maximum Tiles refers to the tiles for interest area. Increasing the maximum number of tiles allows Chrome to show more tiles based on your interests or browsing history, which allows you to quickly open a new website from the interest area. Choose 512 from the dropdown. Click Relaunch Now. Raster Threads are responsible for rendering images in Chrome . Increasing the number of raster threads improves the image rendering time, and thus influences page loading time. Select 4 from the dropdown menu and click Relaunch Now. The “Answers in Suggest” feature allows Chrome to show responses to certain types of queries (mostly questions) directly in the Omnibox’s suggestion list. After enabling this feature, you no longer need to wait for the page to load to see answers for your queries. Type “chrome://flags/#answers-in-suggest” in the location bar. Select Enabled from the dropdown. Click Relaunch Now button. 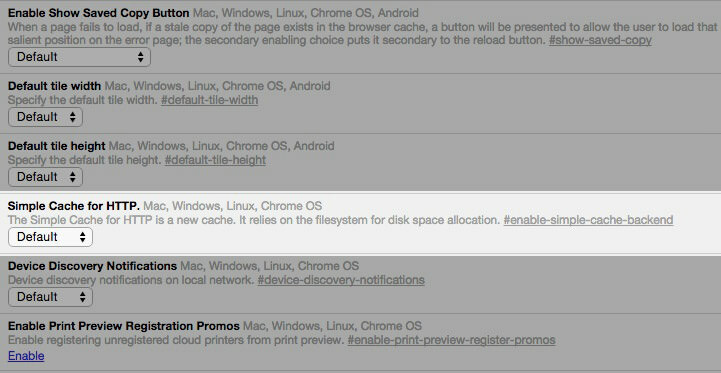 Simple Cache is the new caching mechanism for Google Chrome. It works better than the old caching system, relying on the filesystem for space allocation. Go to “chrome://flags/#enable-simple-cache-backend” in your browser. 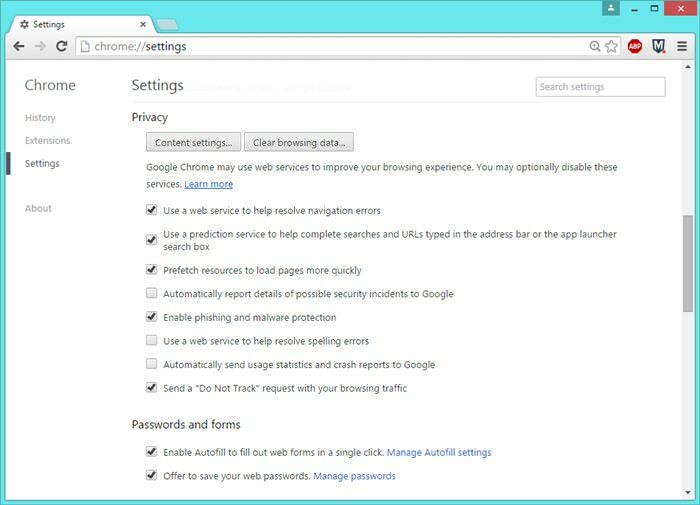 How’s your browsing experience using Chrome after following these tips and tricks? Do you any more tips & tricks or hacks to speed up Google Chrome? Please let us know using comments.